Located on the Landwehrkanal, the canal that winds its way through Kreuzberg, Brachvogel is a great place to relax and unwind. 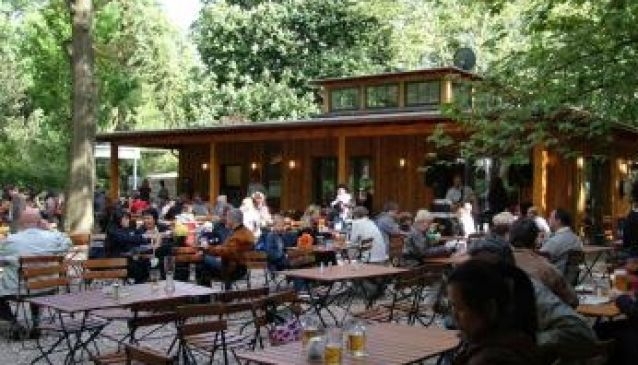 An absolute highlight is their summer beer garden. Open from April to September, with room for 350 people it is an ideal place to spend a summer's afternoon. They have a great menu, with delicious salads, pizzas, pastas, and steak dishes with an emphasis on regional, seasonal produce. Brachvogel is perfect for families. From the beer garden, parents can keep an eye on their kids as they frolic in the adjoining playground. Or, a great treat for kids, or fun loving adults, is the 18 hole mini golf course which has been in operation since 1959!